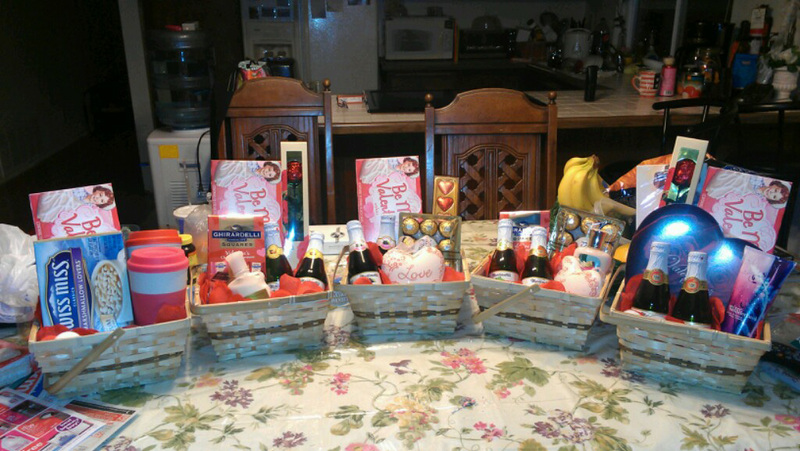 The Young Adults have created five Valentine’s gift baskets for five lucky auctioneers to win. And we are asking everyone to participate, men and women alike. When: This Sunday, February 10th. The winners of the baskets will be announced after the morning service. How it works: Upon arriving at the church for Sunday morning service, you will use the Valentine Basket form and fill out your information at the bottom where designated. Put in the amount that you would like to bid for the basket(s) that you choose. Place your bid in the bid basket. At the end of the service, the Young Adults will announce the highest bidders for each basket. The highest bidders are the winners of their basket. The winners will then pay via cash or check the amount that they bid for the basket. Where does the money go: The money is to raise funds for the Young Adults activities for 2013, including a Young Adults retreat. When does the bidding end: You can make a bid all the way until we are ready to find out the winners. Attendance required: Yes, if you placed a bid, please stay to see if you’ve won, or else you will not be able to pick up your basket.